Help your dog chew like a champ. Does your dog destroy standard chew toys? 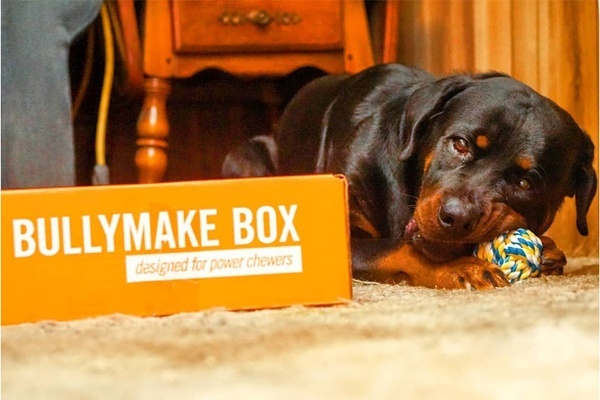 Keep your champion chewer happy with Bullymake Box, a handpicked curation of American-made chew toys built only for the toughest jaws. I love this box! i have tried other subscriptions for my bully pit and this one is pretty good! My dog chews through everything so we appreciate good quality strong chew toys. 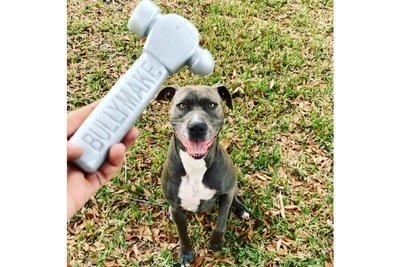 Bullymake sends 2-3 toys and 3-4 treats. They also have a toys only option that has 4 toys instead of treats. 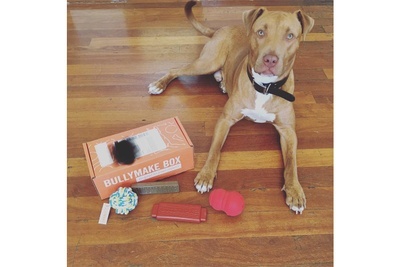 Bullymake box ships orders the next business day after you make your purchase. All subsequent boxes are shipped 30 days after your first shipping date. Bullymake Box sends you heavy duty chew toys for big dogs that tend to tear toys up. The toys are very durable and Bullymake offers a 14-day durability and satisfaction guarantee. Do you subscribe to Bullymake Box? Tell us about it!